We are pleased to announce that we’ve updated our 2-5 HP Open Scroll Medical & Laboratory Systems to combine our reliable, energy efficient technology with new improvements to save space and provide ease-of-maintenance. Our newly redesigned and upgraded space-saving scroll compressors feature the smallest available footprint on the market, allowing for flexibility of hospital design and ease of installation. 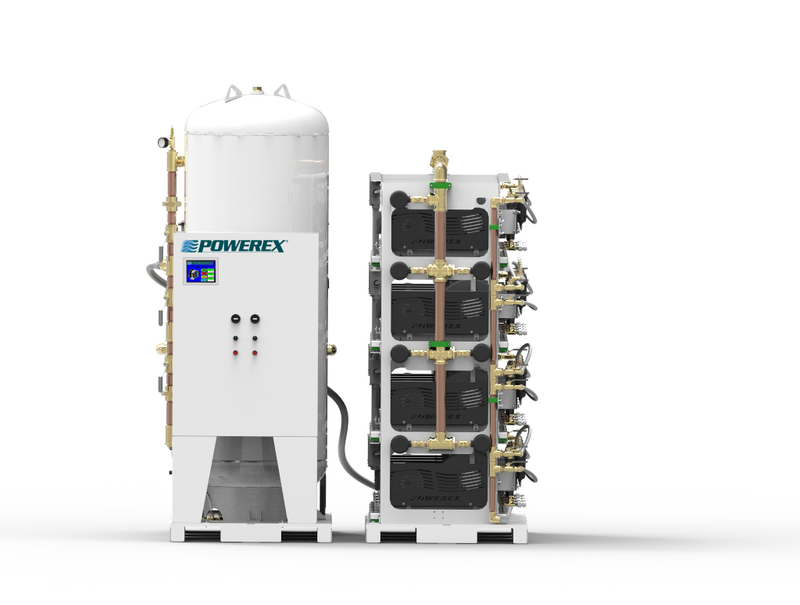 Our compressors are low maintenance, energy efficient, and easily serviceable. The prices of the new systems are the same as the previous models they are replacing. Please contact your sales representative for further pricing information. The model numbers for the new systems are slightly different. They have an “A” instead of a “0”. For example, an MST0503 is now an MST05A3. We will still produce the old systems for all projects that have already been spec’d, quoted, and submitted.